Who’s hyped for AJR?? Loyal fans will be pumped at the opportunity to be there at the band’s first ever headlining tour!! 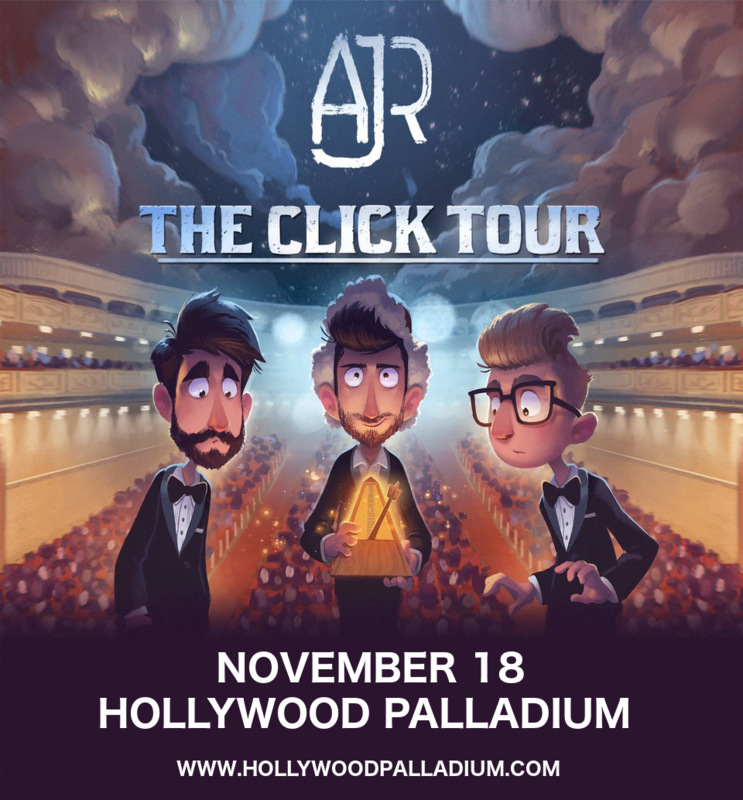 That’s right, this year sees AJR on a massive North American tour, coming to the Hollywood Palladium on Sunday 18th November 2018. Be there – grab your tickets to see AJR now before they sell out!! An all-sibling 3-piece comprised of brothers Adam, Jack, and Ryan Met, AJR formed when the trio were just teenagers, busking primarily in Central Park and Washington Square Park. Their single “I’m Ready,” caught the attention of Steve Greenberg, former president of Columbia Records. The song was commercially released in 2013, and took off on Spotify, racking up millions of plays. Get ready for the AJR experience live – have you booked your tickets yet? ?